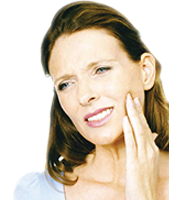 Mouth ulcers don't have to be painful for long. Aloclair® PLUS contains Polyvinylpyrrolidone and Sodium Hyaluronate to help gently and quickly soothe away the pain. 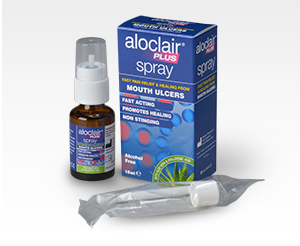 Aloclair® PLUS contains no alcohol so it does not sting. With a choice of gel, mouthwash or spray, there's a choice of applications for everyone. 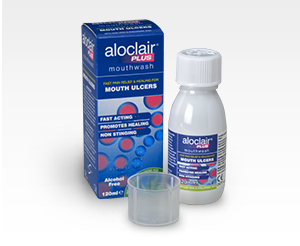 None of the Aloclair® PLUS range require you to touch the ulcer with your finger, so there's less risk of contamination. A mild liquorice tasting gel in a handy pocket sized tube. 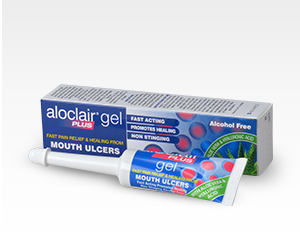 Ideal for direct application to the ulcer and makes it easy to reach ulcers at the back of the mouth. Suitable for young children and people who dislike gargling. No touch application minimises the risk of contamination. Ideal for regular sufferers. 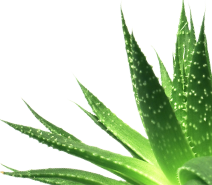 A liquid rinse which coats all the ulcers around the entire mouth, including the throat area. Ideal for people wearing braces and/or dentures. Available in two sizes 60ml and 120ml with a dispenser cup.